EVERYTHING touched by Volvo in recent times has turned to gold. 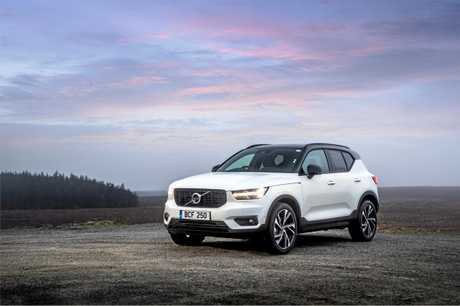 The XC40 compact SUV arrived last year and has been lauded ever since, following a similar trend to its larger XC60 brethren. Can a small high-riding hatch cope with the rigours of family life with two burly boys? GRANT: That was fast. Seemingly love at first sight, and probably a more convincing relationship than that Married At First Sight rubbish you watch. KELLY: It's not love at first sight, it's love at first drive. To look at I don't think it's amazing, but to drive it's awesome. GRANT: Well in this case love is a reasonable investment, at $50,990 plus on-roads. Our car also had about $7K worth of extras courtesy of a technology pack that includes adaptive cruise control, a 360-degree camera view and park assist, as well as heated rear seats, tinted rear glass and the pumping Harmon Kardon sound system. KELLY: I would pay that tomorrow, and I actually thought it would be more expensive. 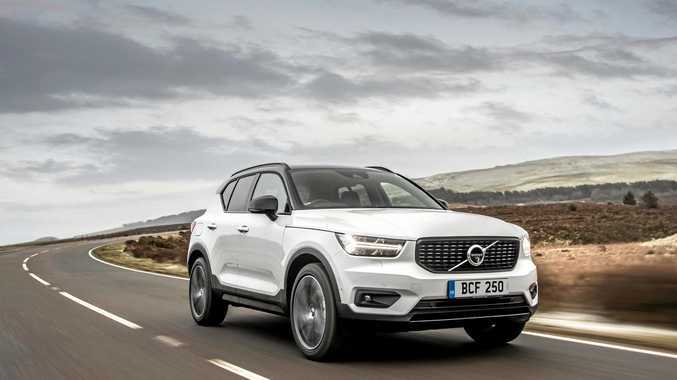 The price makes it comparative to bigger range-topping seven-seat SUVs like the Hyundai Santa Fe and the Skoda Kodiaq, but I really like the Volvo's size. GRANT: The XC40 does have extra badge kudos over the mainstream rivals which I'm sure you also appreciated at school drop-off. 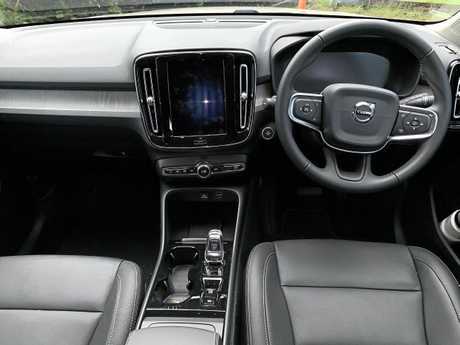 KELLY: Volvo's vertical aligned colour touch-screen is Scandinavian chic. Swiping your way through the various menus is interesting at first. GRANT: Many of the operations mirror a tablet or a smartphone, but I found it didn't take long to become accustomed to the operations and the wireless charging tray in front of the stubby shifter is a bonus. KELLY: There is a lot of information on one page when you start swiping through, and if you weren't accustomed to where operations were positioned you would have to stop to analyse. Being able to select the dual-zone aircon temperature fast via the screen is among the benefits. GRANT: Storage spaces are excellent, with plenty of spots for keys or other bits and pieces, cup-holders that can accommodate larger bottles in the console, and bottle slots in the doors. There are also two USB ports up front. 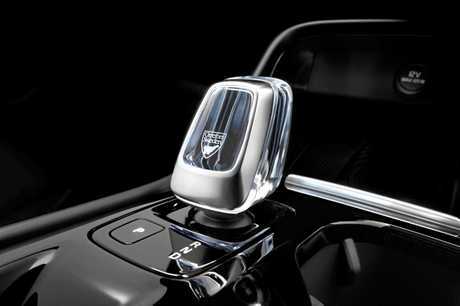 KELLY: The crystal gear lever knob was nice, too. GRANT: Concave finishes throughout the dash and doors show impressive attention to detail. KELLY: It feels really nice to drive, collectively it's comfortable and easy. 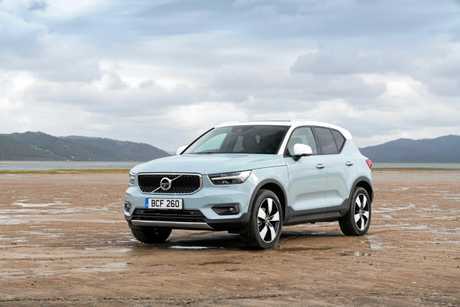 GRANT: No arguments there, Volvo produce a good vehicle and the XC40 feels solid and predictable. I think it's become the benchmark in the compact segment. KELLY: Recently I had the option to park in a small position at work. There would be many cars I wouldn't have even attempted it...but the Volvo was easy. It's brilliant and the 360-degree camera gives a legitimate picture of your position in the lane and distance from obstacles. GRANT: Performance all-round is impressive, and this T4 is powered by a turbocharged 2.0-litre petrol engine. Off the mark it's not outstandingly quick, but it manages to do everything well and average fuel consumption should be about eight litres for every 100km. GRANT: Boot space is good for a small SUV, better than a Mazda CX-5 or a Ford Escape. It can handle the weekly grocery shop or most sporting equipment. KELLY: The load height is also good for lifting heavy items inside. GRANT: Rear seats fold easily which provides a good load space for larger items. Having to pay an extra $30 for a "lockable” glovebox is a little hard to swallow. 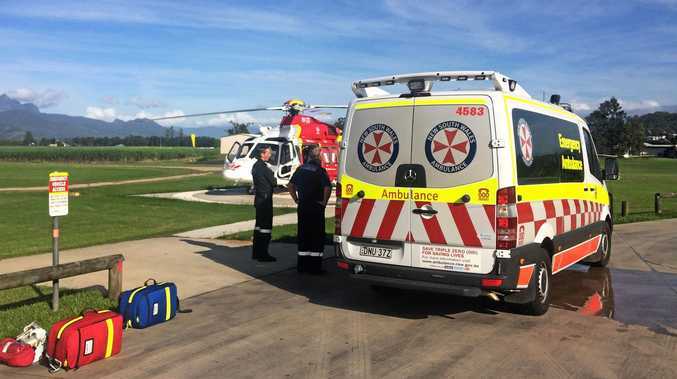 KELLY: We wouldn't tick that box, nor would we need the Park Assist Pilot that costs $2500 - I was parking like a boss. GRANT: While no rocket-ship in a straight line, it feels adept when you get out of town and into the twisty stuff. It may look like a off-roader and be armed with all-wheel drive, but its intentions are bitumen-focussed. KELLY: The only time I might go off-road is parking at soccer training. 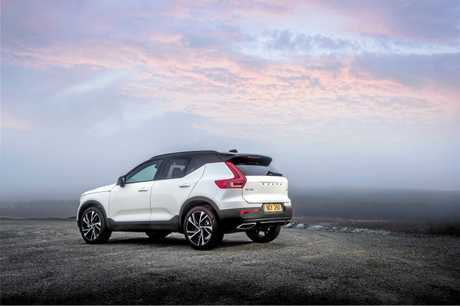 GRANT: You're not alone and that's why SUVs like the XC40 are tuned for comfort on the black stuff. KELLY: Everything just worked well, and I didn't have to second-guess the power delivery in traffic. GRANT: The eight-speed box works well in tandem with the turbocharged petrol engine, and a family run cruise saw no performance impediment with all four of us on board. KELLY: It's a Volvo, so I'm expecting five-star safety all the way. GRANT: You're right, but some features cost extra. You get emergency braking that also looks out for pedestrians and cyclists, but radar cruise control should be standard for a car starting at $50K. KELLY: It is a really useful function in traffic. GRANT: Rear cross traffic alert works well, on one occasion when a van was blocking vision and a car came quickly past when reversing it stopped us cold. Cabin space remains expansive for a compact SUV and our two boys had no issue with leg or head room in the back. KELLY: The price is premium, but you get what you pay for. 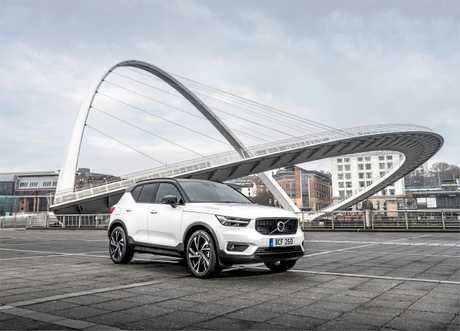 Everything about the XC40 feels quality. GRANT: Despite having a family of four, we'd manage with the compact dimensions which actually work in its favour. 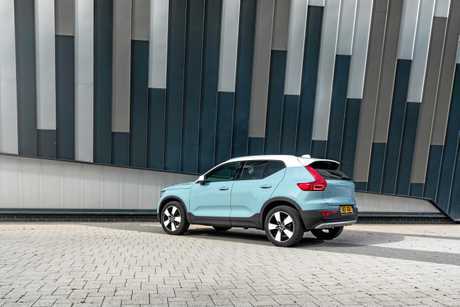 The XC40's a great drive, easy to park and feels modern inside and out.